Here in the southern isle of the Antipodes elderflower season is nigh. Peppered around the city, elderflower is in full bloom clambering through gardens and forests, waiting to be picked and turned into liquid gold, just in time for Christmas. 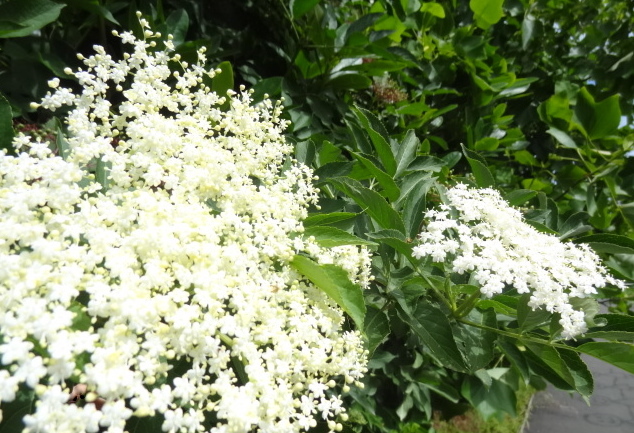 For me, the smell of elderflower epitomises summer – the fragrance a heady burst whilst a batch is in the fermenting swing. For many years now we’ve been making elderflower fizz and I must admit, we’ve got it down pat. We’ve tasted our first batch of the season (the other one is on the way) and my goodness, it’s good. Seriously good. We’re big fans of Hugh Fearnley-Whittingstal, so it was an easy decision to go with his elderflower fizz recipe (though slightly adapted). Over the years we’ve searched high and low for the perfect elderflower patch. After serious scrutiny, we pick from North Dunedin alongside the banks of the Leith river. The elderflower’s habitat has to be as pure as possible, preferably living in a lush, sunny patch away from busy traffic and litter. It’s best to pick elderflower whilst the sun is out as it’s the key to a more flavoursome brew (an old wives’ tale which I’m sticking to). A word of warning – making elderflower fizz is a dangerous business and should be treated with extreme caution. We’ve had a few explosions and although we’ve not lost any eyes, there have been a few very close calls. The golden rule is to keep the elderflower bottles contained in a chilly bin, or better still, kept in the drinks fridge. At this time of year, we serve this elderflower and vanilla apéritif to guests or take it to one if the many Christmas soirees of the season. If you’re not a fan of vanilla, serve with normal vodka and top up with a dash of soda. Gently mix the elderflower fizz and desired portion of vodka together. Pour into champagne glasses, add a few cubes of ice and garnish with lemon zest and a sprig of fresh mint. Serve before a light summer lunch or dinner with lovely friends. Boil the jug and put the boiling water plus some cold water (to make up 4 litres of water) into a clean bucket or large container and stir in the sugar until it dissolves. Add the additional two litres of cold water. Add the lemon juice and zest, apple cider vinegar and elderflower heads and stir gently. Completely cover with a clean muslin cloth and leave to ferment in a cool, airy place for a couple of days (the bathroom is a good option). Check the brew and if it’s not becoming a little foamy (i.e. fermenting) add the pinch of yeast. Leave the covered mixture to bubble and brew for a further four days. Strain the liquid through a sieve lined with muslin and pour into sterilised strong glass bottles or Grolsch-style stoppers, or sterilized screw-top plastic bottles (you need strong bottles as a lot of pressure can build up). Seal and leave to ferment in the bottles for at least a week before serving, chilled. The fizz should keep in the bottles for several months (although it never lasts this long in our house). Store in a cool, dry place. Release the pressure every day or so to prevent an explosion.